GUATEMALA CITY, GUATEMALA--(Marketwired - October 27, 2014) - As many travelers get ready to book their fall travel, sifting through photos of colorful foliage, there are always those who yearn for more than a cup of spiced-pumpkin latte surrounded by auburn hues. The adventure continues for those nomads not yet ready to embrace the cooler temperatures and who would rather explore the vibrant playground in Guatemala while enjoying the country's eternal spring. Adhering to many of 2014's top travel trends, Guatemala offers visitors an unplugged, cultural, expedition-style travel experience. Among its popular areas is the department of Petén, a site that guards some of the remains of one of the most advanced ancient civilizations, the Mayans. Petén's largest and most impressive representation of the early Mayan way of life can be found amidst the jungle in the UNESCO protected ruins of the Tikal National Park (also known as the place of voices), at approximately one-hour drive from Isla Flores. Visitors staying in Antigua or Guatemala City have the option of flying from La Aurora Airport to Petén's Mundo Maya International Airport (1 hour flight), or driving eight hours on the CA9 road visiting destinations like Izabal and Poptún along the way. If staying in Petén, travelers can start their day off by having a hearty breakfast at Las Lagunas, a boutique hotel at approximately 15 minutes from the entrance to the national park. Along the dirt road leading to the park's grounds numerous signs depict the crossing of wild animals that prepare guests for what is to come. Armadillos, various species of birds, howler monkeys, spider monkeys, and ant eaters will pop up through various points of the journey. Monkeys will sometimes even display acrobatic shows on top of unexcavated mounds. Upon arrival, visitors will begin the trail of over 12 miles by walking through enormous ceibas (Guatemala's national tree and a sacred to the Mayans). The first photo opportunity begins early on the tour in front of a tall ceiba tree which branches resemble the hairy legs of a tarantula. The road to the ruins start at the market place and end at the main plaza. Must see temples are: Temple I, known as the Big Jaguar; Temple II, known as the Mask (a structure built by governor Ah Cacao as a gift to his wife); the north and central acropolis (where visitors can see an original depiction of the Mayan rain god Chaac under a thatched roof), Temple V, standing at 187 feet high and only second in scale to the spectacular Temple IV, which is a mere 230.98 feet tall. This Thanksgiving, say 'thank you' atop one of the most outstanding remains of Mayan civilization. Temple IV is perhaps Tikal's most impressive building dating back to 741 A.D. and today is considered the tallest pre-Columbian structure still standing in the New World. Wooden stairs have been built along the side of the temple to allow tourists to ascent a 64-mile high climb to the top. Once there, the heart pounding climb will pay off. Visitors will see a view all too familiar to Star Wars fans (Temple IV was the filming location for Yarvin 4 in Star Wars Episode IV: A New Hope). 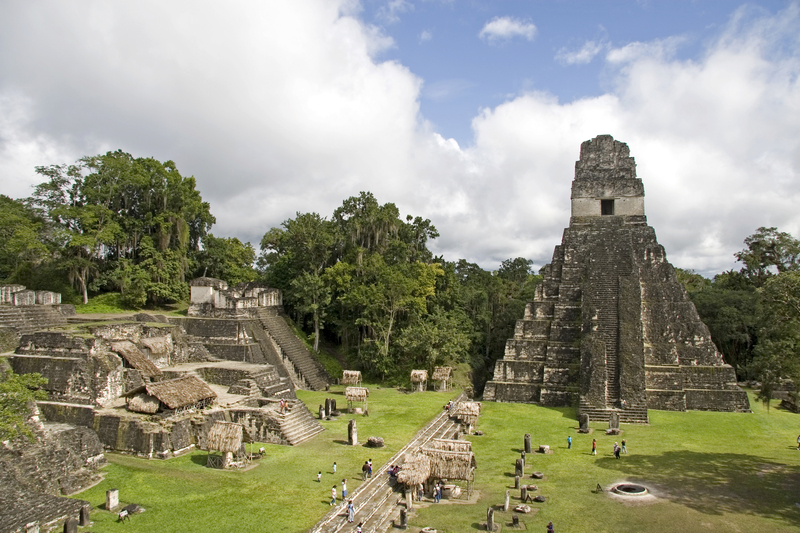 Temple IV offers a panoramic view of Tikal and the lush, green vegetation of its surrounding jungle. For those who'd like to experience the Mayan adventure this fall, Maya Exotic Travel offers a two night/three day unforgettable expedition package featuring visits to ancient sites of Yaxhá and the Tikal National Park. The tour includes the domestic round-trip flight from Guatemala City to Petén, heart of the Mayan World, with overnight stays in either Hotel Petén Espléndido or Casona de la Isla. On the first day, visitors will travel to the Yaxhá Archeological Site and Topoxté. The next day, a four-hour excursion takes travelers through the UNESCO World Heritage site of Tikal. Both days include breakfast and lunch, as well as a bilingual tour guide. Prices are $499 or $535, depending on hotel choice (domestic flight tax of $6.00 USD is not included). Additional local tour operators that offer visits to the Tikal National Park and other ancient Mayan sites include Martsam Travel, Aventuras Maya's, Viaventure, PTP Mundo Maya, and Clark Tours, among others. Nested in Central America is Guatemala, the heart of the Mayan world. A place where a modern capital city melds seamlessly with the country's colonial and indigenous past, Guatemala is the path less traveled offering enlightening experiences beyond what meets the eye. From ancient Mayan ruins that emerge from the lush rainforests and architecturally impressive colonial cities with colorful outdoor markets to countless adventures and natural wonders such as untouched forest reserves, volcanoes and pristine lakes, Guatemala presents Life Lessons worth living. It also is home to three UNESCO World Heritage sites: the colonial city of Antigua, the Archaeological Park and Ruins of Quirigua and the Tikal National Park. 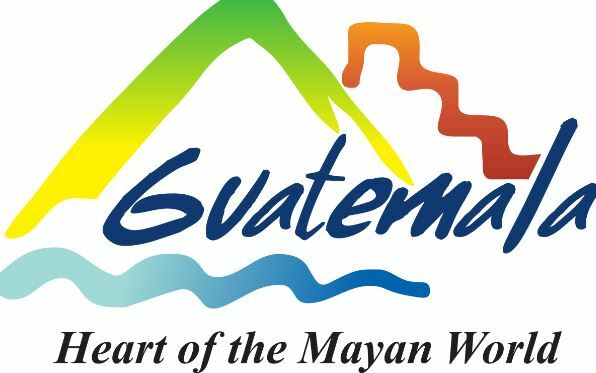 For more information, visit www.visitguatemala.com.